People crowd into the rear area of a Bushwick bar. 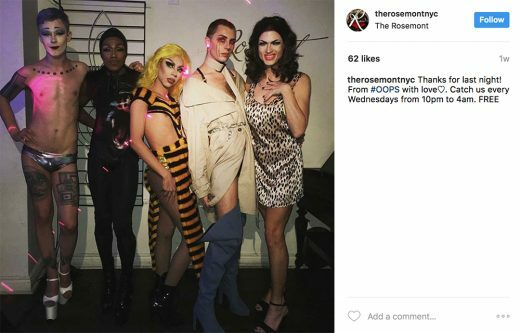 They’re hooting and hollering, throwing dollar bills into the air as a drag queen named Ruby Fox, with long hair and an outfit reminiscent of an underground fetish party, lip syncs and launches into a back handspring. Where a kitchen once sizzled, a DJ now spins. Nowadays, this is just an average Wednesday night at The Rosemont, a newer project from Trash Bar’s Aaron Pierce that initially opened in Bushwick last May. Rather than carrying on the wild spirit of Trash, The Rosemont was poised to be more mature, a jazz club slinging bespoke cocktails and small plates. But recently they brought on someone new, switching saxophones for death drops.